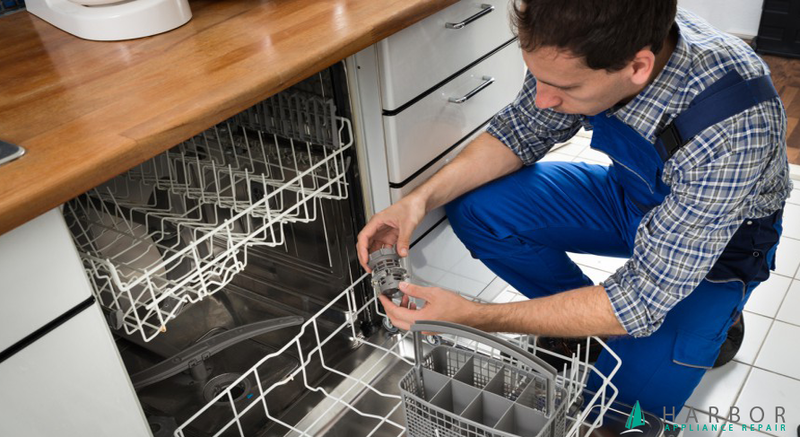 Many homeowners encounter this problem; when you open the door, and oh, the water stands in the bottom of the dishwasher. 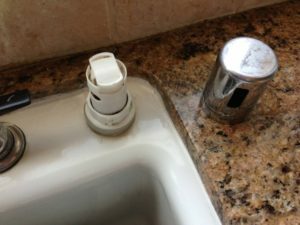 It is a plumbing emergency, but don’t call the plumber, you also can be an expert of diagnosing and maybe even fixing this problem yourself. So you had packed your dishwasher and when you open the door to add one last dish to start it again, it is not running. Sometimes, when it is not starting, could be that you haven’t closed the door properly. Try to rearrange your dishes and firmly close the door, hit cancel and start again. 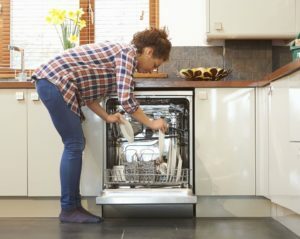 However, it could be that there is another issue, and for discovering it , take a look in the bottom of your dishwasher. If there is plenty of water, then it is most probably a draining problem. Your quick tip easy fix is: try cleaning the air gap. It is the small cylinder on the back edge of the kitchen sink. Usually it is getting clogged by food buildup. Water comes out of the air gap, when you run the dishwasher. Remove the air gap cap and clean inside the air gap. The blockage could also be between the air gap and the garbage disposer. Clean that part as well. Now start your dishwasher, it will work. Happy washing!